It’s very important to have adequate security in your home. A large majority of the time, this means having a quality security system in place with devices like cameras and alarms. These systems are becoming a lot more accessible and affordable, proving highly valuable. However, these devices hold no value if they are placed in the incorrect spots. 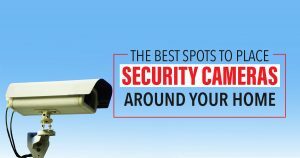 From CCTV systems to intercom systems in Sydney, here are the best spots to place security cameras around your home. Since statistics show that the front door is the most common point of entry for burglars, you should place a camera in this area before you do anything else. An intercom system at your front door can also be good, giving you the chance to see who is at the door before you answer it. Also keep in mind that the camera needs to be in a secure place where it cannot be touched, otherwise intruders can easily tamper with it. Front door cameras with night vision are the best option. 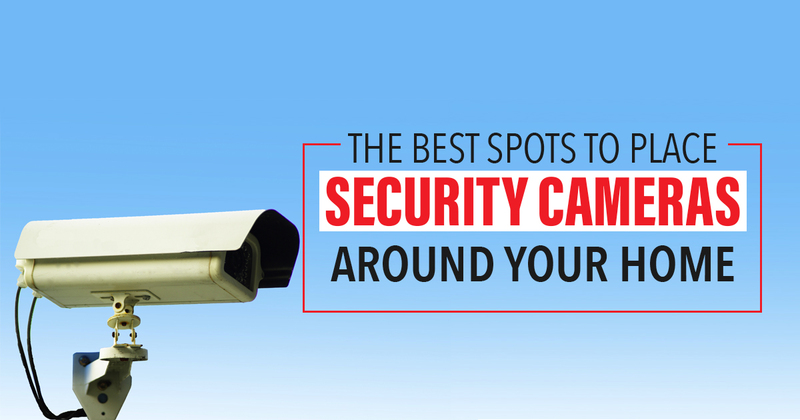 Depending on the size of your home, you may want to place some cameras inside. If this is something you wish to do, these cameras should be difficult to detect so that intruders cannot meddle with them and remove any evidence. While the front door is the most common point of entry, side and back doors also make up a large portion of the potential entry points for intruders. Similarly, with the front door, cameras should be placed to capture these points but should be out of reach of intruders so that they cannot be touched. To avoid detection, a lot of intruders aim to get into homes via windows that cannot be seen from the street. Placing cameras at these points is also a good option. Through a backyard is often regarded as a safer way to enter a home as it’s generally out of the view of the public eye. Placing a camera high enough to capture your backyard, preferably with night vision is the best option. The garage is also one of the main ways intruders tend to enter, usually since it offers a way into the house. Having a camera facing the entry to your garage is smart, but one inside the garage is also a great idea. When placing cameras around your home, always bear in mind that there are regulations surrounding camera placement in both your home and workplace. If you have any questions regarding camera regulations or you’re looking to get a new security system installed, we at Red Handed Security have got you covered for any home security from Blacktown to The Hills. Feel free to give us a call today on 1300 13 40 33!